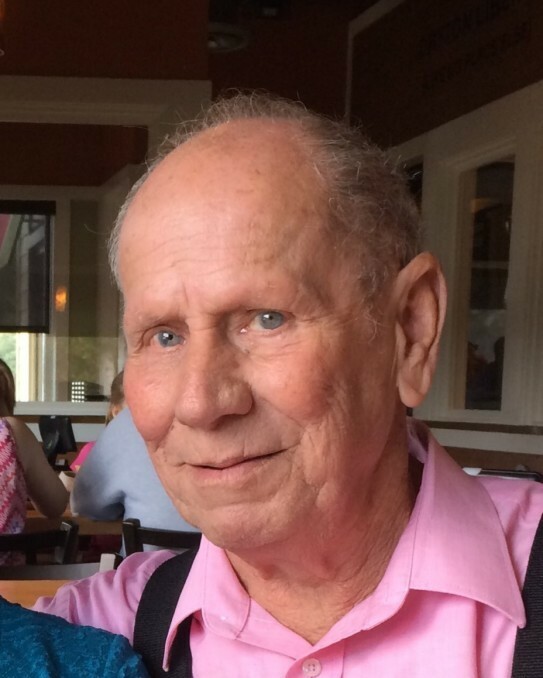 Buddy F. Frazier Sr. went home to be with the Lord on Monday, September 10, 2018. Buddy was born to Roy and Bessie Frazier on May 7, 1939 in Robstown, Texas. He served the United States Army from 1956 to 1958. After the Army he met and married his wife Lynn. They had many adventures together including 3 daughters and a son. He liked to visit with friends and family. He was a jokester and always had something funny to say. Buddy loved the lord and enjoyed going to church at South Liberty United Methodist Church. Buddy was preceded in death by his parents and two brothers, Derry and Ralph Frazier. He is survived by his wife Lynn, brothers Ray Frazier and wife Elsie, Robin Frazier and wife Linda. Daughters Christy Vanya and husband John, Kimberly Jackson and husband Richard, Tracy Horbach and husband Richard, son, Buddy Frazier Jr. Grandchildren, Jennifer Colburn and husband Tommy, Amanda Patton and husband Josh, Heather Jackson, Tiffany Pennington and husband Jesse, Andrew Ramirez and wife Alexandra, Matthew Ramirez and wife Kendahl, Madisyn Frazier, Cameron Jackson, Kylie Frazier, Zoe Frazier and Tatum Frazier. Great grandchildren: Samantha Jackson, Jake Jones, Abbygail Colburn, Zane Jones, Thomas Colburn, Jaycee Dorsey, Luke Patton, Charlotte Ramirez, Jude Ramirez, Lizzy Colburn and Eli Ramirez. He is also survived by a host of extended family and friends. A private memorial service of remembrance will be held at a later date. Allison Funeral Service, 1101 N. Travis Liberty, Texas has been entrusted with cremation arrangements. Condolences and memories can be shared online at www.allisonfuneralservice.com.